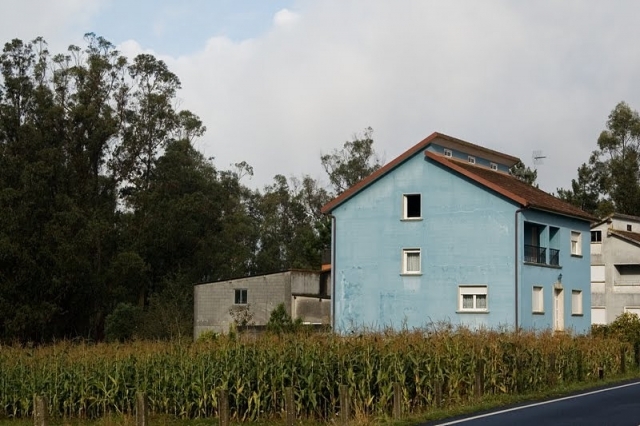 The descent to the centre of Vilaserío This small hamlet, affiliated to the parish of San Pedro of Bugallido, has been converted into a strategic point on the Camino of Santiago to Finisterre/Muxía, with a notable number of services for pilgrims. This location is situated 30 kilometres from Compostela. By making a stop here, the second stage, very long, becomes a little more bearable. If you are traveling on the Camino de Santiago or are planning to do so soon, you should know that the distance separating Vilaserío from Santiago de Compostela is 38 kilometers.